The airbase on which it stands was built at the height of World War Two, when the city of Sebring donated land for a new air training school. In June 1941, construction crews moved in and began creating the runways and barracks, with a network of buildings, roads and sewerage systems that effectively made it a small self-contained city. Shortly before completion, the orders came through that the base was to be expanded to become the first Combat Crew Training School in the United States for heavy bombers, requiring much more robust and enlarged runways. To withstand the pounding of the giant B-17 Flying Fortress bombers, engineers poured multiple slabs of concrete to form the runways, which cris-crossed the site in four directions. Named Hendricks Field in honor of a fallen flight instructor, the base spent the rest of the war training hundreds of pilots for B-17, B-24 and later, B-29 Superfortress flight crews. Convinced it could work, he ploughed in what money he could into organizing the first race, held on New Year's Eve, 1950. Around 30 cars from across the country turned out to contest the Sam Collier Six Hours Memorial, run to a complicated equivalence formula which ensured that the handful of local spectators could have no clue who was winning! Rather remarkably, it was won by the team of Ralph Deshon and Fritz Koster, who had borrowed a spectator's tiny (and otherwise unsporting) Crosley Hot Shot to participate in the event. In 1959, Ulmann pulled off something of a coup, organizing the first US Grand Prix for Formula One machinery. In the end, the bumpy concrete proved a poor match for the sophisticated single seaters and the event failed to cover its own costs – indeed, Charles Moran and Briggs Cunningham stepped up to pay the prize monies out of their own pockets when the promoter's checks bounced. After a further one-off race at Riverside, F1 found a happier home at Watkins Glen. Ulmann and the organizers came under fierce criticism in the aftermath, with threats of lawsuits and potential boycotts mooted. Serious plans soon emerged to move the race to the then-new Palm Beach International Raceway. The track's owner, Pete McMahon, was willing to invest $1.5 million in track upgrades that would include extending its length from 2 miles to 5.5 miles. In addition 80 covered pits would be built for the entrants plus bleachers for the spectators, private parking, a scenic lake and spectator access roads. 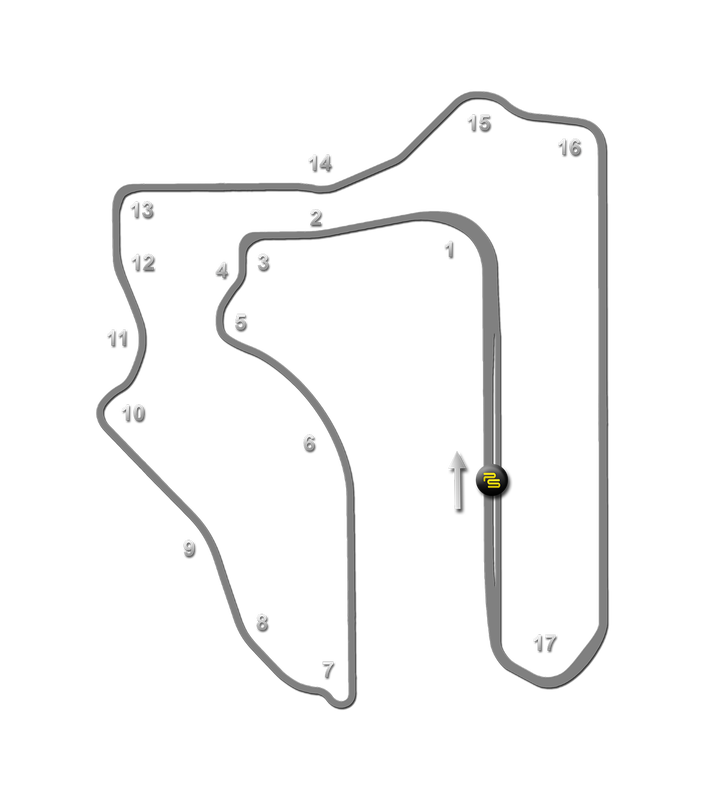 A 10 year deal was duly signed to host the renamed Florida International Grand Prix of Endurance. Mother Nature had other ideas, however. The Palm Beach area suffered through two months of unprecedented rains, delaying the start of any construction work. Finally, in November, Palm Beach officials announced they were abandoning the 10-year contract to hold the race because the rains and high water table prevented them from getting the track ready in time. ​There were no further significant track changes until 1983, when the first of several course changes marked a push to reduce the circuit's impact on the operations of the airport, which was seeing increasing flight traffic. This would ultimately see the portions using the North/South runway reduced and finally eliminated. In tandem came a general upgrade of paddock facilities, which saw the relocation of the backstretch in 1984 – now named the Ulmann straight – to create more room.